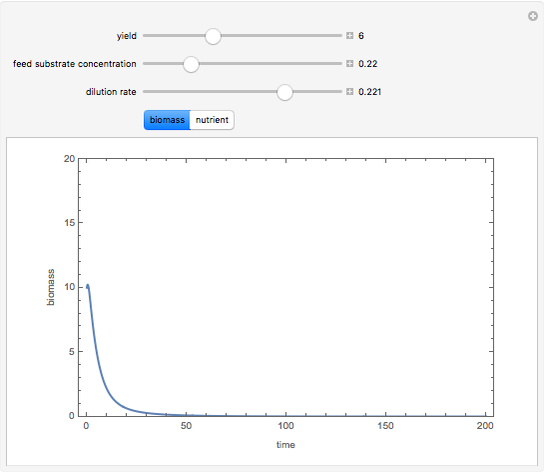 where is the dilution rate in , is the biomass concentration in g/l, is the substrate concentration in g/l, is the feed substrate concentration, is the yield, and is the specific growth rate given by the Monod function: , where is the half saturation constant and is the maximum value of the specific growth rate ( =1 here). 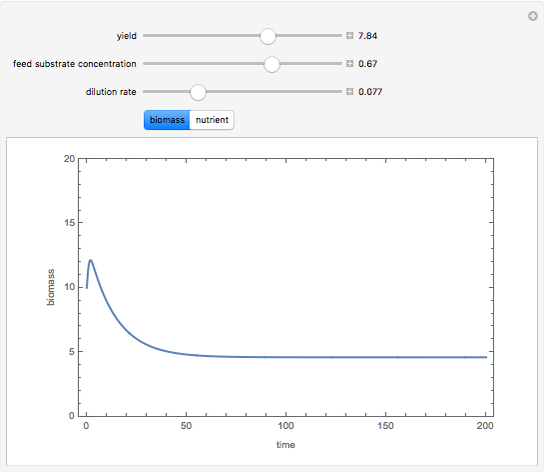 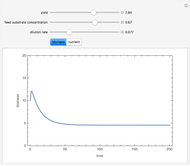 This Demonstration lets you plot the substrate and biomass concentrations versus time and observe the washout (a phenomenon that occurs when the dilution rate, , is so large that all micro-organisms will end up exiting the bioreactor). 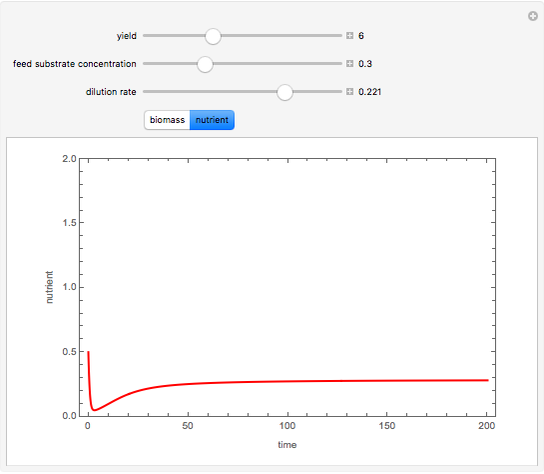 Another snapshot shows a situation where the biomass in the reactor reaches a steady-state value different from zero. 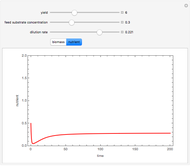 Housam Binous "Dynamic Behavior of a Bioreactor"